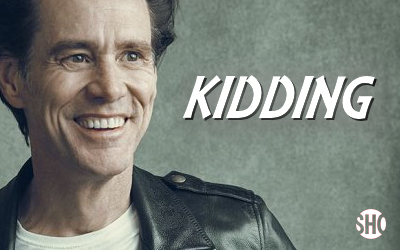 "Kidding" is the name of the comedy series that will mark the return of Jim Carrey to TV. The pre-production has started and so far we know it is created by Dave Holstein, and will be directed by "Eternal Sunshine of the Spotless Mind" director Michel Gondry. The 10-episode Kidding centers on "Jeff, aka Mr. Pickles (Carrey), an icon of children's television, a beacon of kindness and wisdom to America's impressionable young minds and the parents who grew up with him - who also anchors a multimillion dollar branding empire. But when this beloved personality's family - wife, two sons, sister and father - begins to implode, Jeff finds no fairy tale or fable or puppet will guide him through this crisis, which advances faster than his means to cope. The result: A kind man in a cruel world faces a slow leak of sanity as hilarious as it is heartbreaking." This is the premise and today, a new member has joined the cast with actress Catherine Keener, known from "Get Out" playing the role of Deirdre, the person who "thanklessly builds all the puppets on the hit children's show hosted by Jeff (Carrey) while never being allowed to voice them. She struggles to take the simple lessons preached by Jeff and apply them to the darker complications of actual parenting." We are very excited to see this series! Jim Carrey is one of the executive producer alongside Michel Gondry, Jason Bateman, Jim Garavente, Raffi Adlan and Michael Aguilar. Dave Holstein is both the creator and show runner of the show.